By Kate Taylor and Richard A. Oppel Jr.
CONCORD, N.H. — Soon after the man who killed his father with a shotgun blast to the chest was captured, Renny Cushing ran into a friend at the grocery store, who said that he hoped the culprit would be executed so that Mr. Cushing’s family could find some peace. 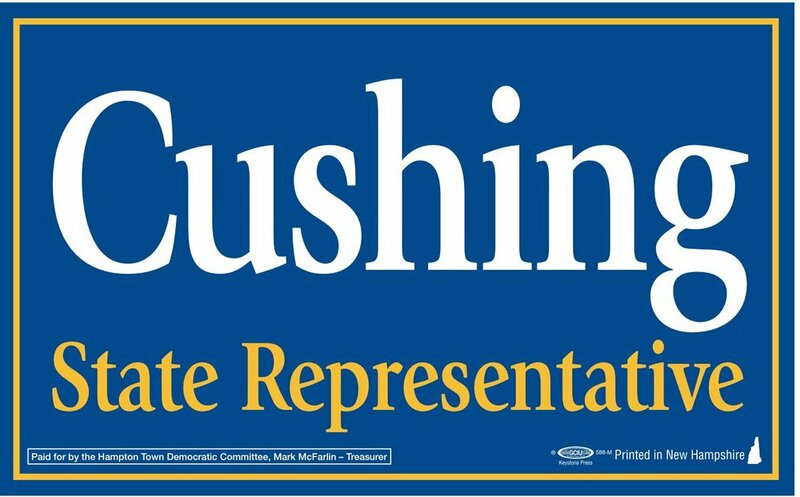 Mr. Cushing, a Democrat, was then — and is today — a death penalty opponent. And in the 31 years since his father’s murder, he has become one of the nation’s leading opponents of capital punishment. But his efforts at repeal in his home state have always fallen short. On Thursday, though, New Hampshire moved closer to becoming the last state in New England to end capital punishment as the State Senate voted to repeal the death penalty. That followed a vote for repeal in the State House last month. Twice before — in 2000, and again last year — both chambers have voted for repeal, only to be blocked by a governor’s veto. But this time, the House and the Senate each voted with the two-thirds majority necessary to override another threatened veto by the governor, Chris Sununu, a Republican who is a capital punishment proponent. Hours after the vote, an aide to Mr. Sununu said that the governor still intends to veto the bill. But given the margin of the Senate’s vote on Thursday — 17-6 in favor of ending capital punishment — it appeared unlikely that a veto would survive an override vote. The House had also approved the measure by a veto-proof margin last month, 279-88. If approved, New Hampshire would become the 21st state to get rid of the death penalty, continuing a national trend toward fewer executions. Bills to limit the application of the death penalty or to repeal it have also been introduced in at least 18 states this year. With the suspension of capital punishment announced last month in California, most people in the United States now live in places where the death penalty is either outlawed or subject to moratoria, said Robert Dunham, executive director of the Death Penalty Information Center, a Washington, D.C., nonprofit. In recent years, some Republicans in the state have changed their stances on the issue and now favor abolishment; some have cited the more than $5 million the state has spent on the prosecution and defense of the state’s only current death row inmate as part of their reasoning for the change. At the same time, some Democrats still back capital punishment. State Senator John Reagan, a Republican who favors repeal, said he had long believed that the government’s primary role was to keep people safe, and that the death penalty was part of that. But it is Mr. Sununu who has remained the principal opponent to abolishing the death penalty, and who, according to supporters of repeal, had continued to urge Republican colleagues to reject the legislation. “Governor Sununu will always stand up for law enforcement and the families of crime victims,” said Benjamin Vihstadt, his spokesman, who said that representatives of the governor’s office had met with people on both sides of the issue. But Mr. Cushing said Mr. Sununu had avoided meeting with the relatives of victims who see the issue the same way Mr. Cushing does. “The governor has positioned himself as saying he’s vetoing the repeal of the death penalty because he cares about law enforcement and victims, but he’s refused to meet with murder victims’ family members who oppose the death penalty,” Mr. Cushing said. Yet Mr. Addison’s fate has taken on an outsize role in the legislative debate, serving as a rallying point for opponents of repeal, including state law enforcement associations. The legislation is not retroactive, and would not affect Mr. Addison’s case. But opponents of repeal say passage of the legislation would nevertheless make it more likely that a judge would be inclined to reduce his sentence. Laura Briggs, the widow of the officer killed by Mr. Addison, told a legislative committee last month that she worried that a vote to repeal would almost inevitably lead to the commutation of Mr. Addison’s sentence. The debate has evoked powerful emotions on both sides. State Representative David Welch, a Republican, said he changed his mind to favor repeal after his wife died two years ago, causing profound grief and prompting him to be baptized. Kate Taylor reported from Concord and Richard A. Oppel Jr. from New York. Death penalty repeal sweeping across states as both parties get on board "I think with the death penalty, we've crossed the tipping point on the question of innocence," one expert said.